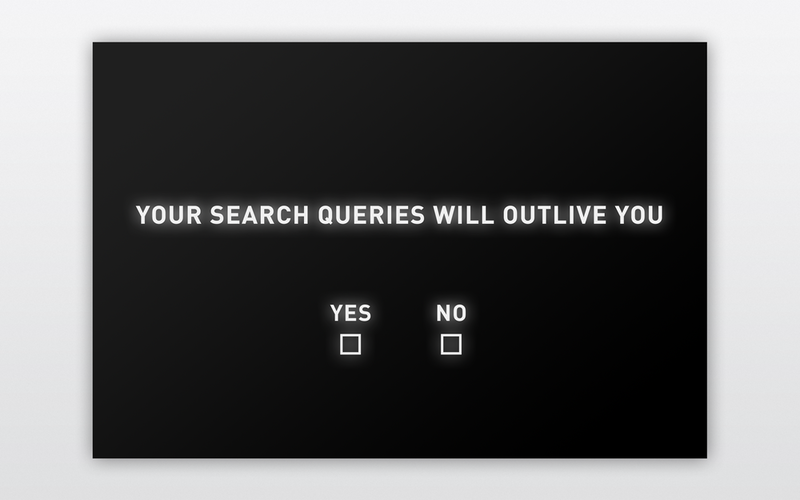 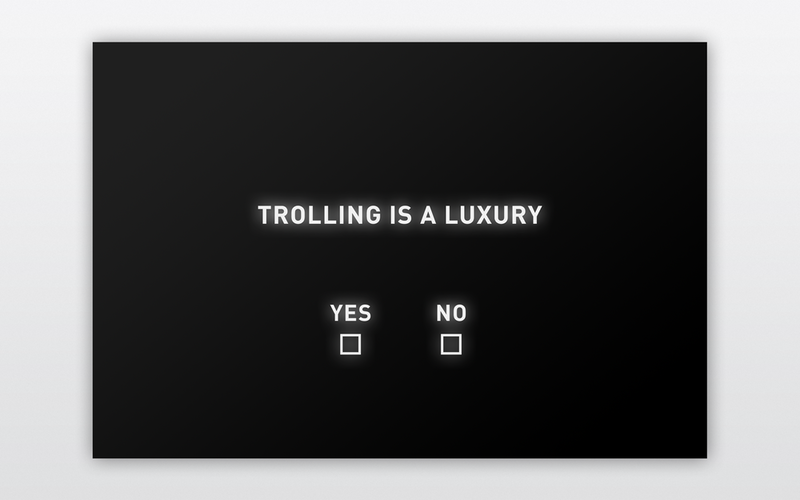 With a nod to Jenny Holzer’s provocative truisms, ‘Nine Questions’, makes statements about the contemporary experience of networked life posed as YES/NO questions. From Twitter faves to trolling, surveillance to data breaches, this series asks the viewer to take a firm position on the forms of social and state interaction that have become rapidly normalized over the last decade. Kate Crawford and Maral Pourkazemi, a Deep Lab collaboration.